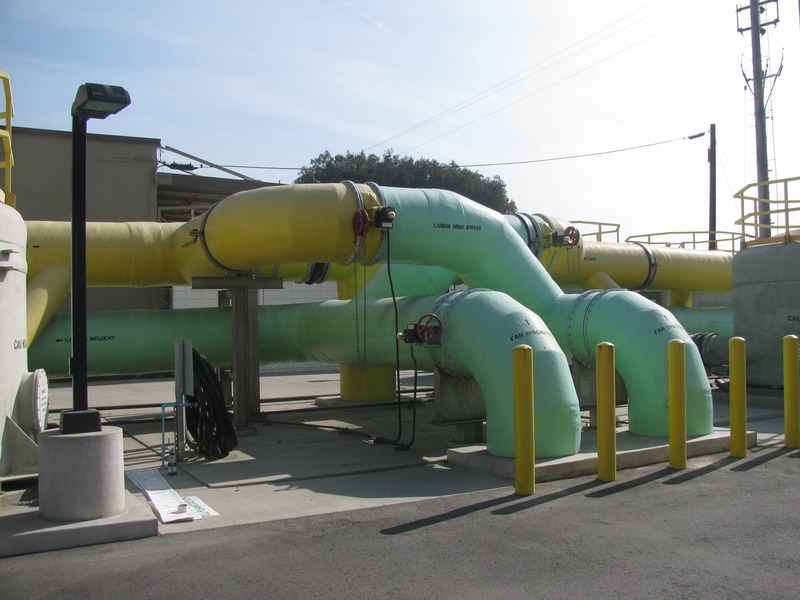 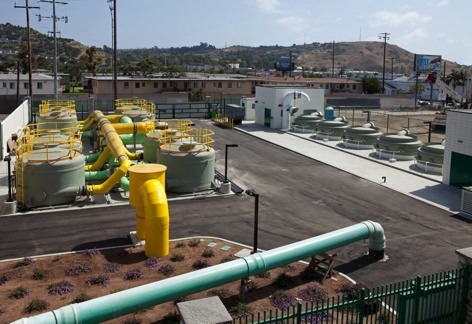 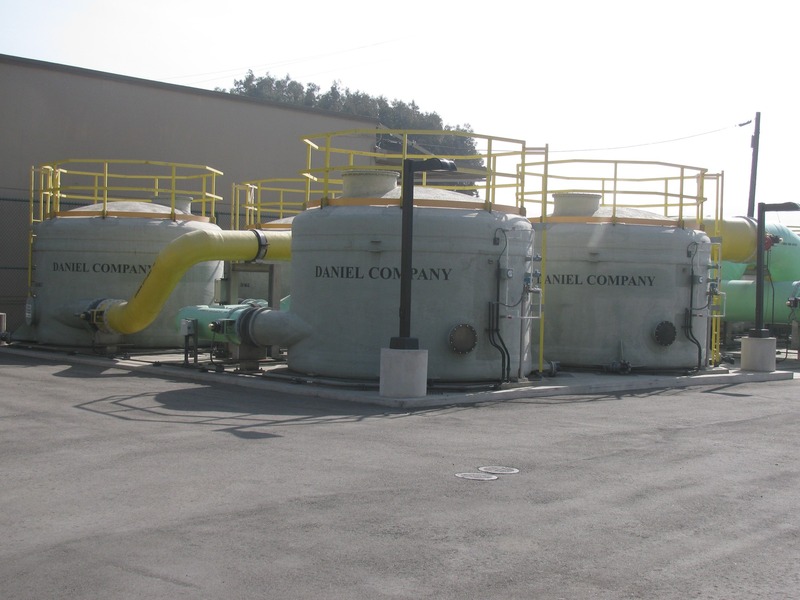 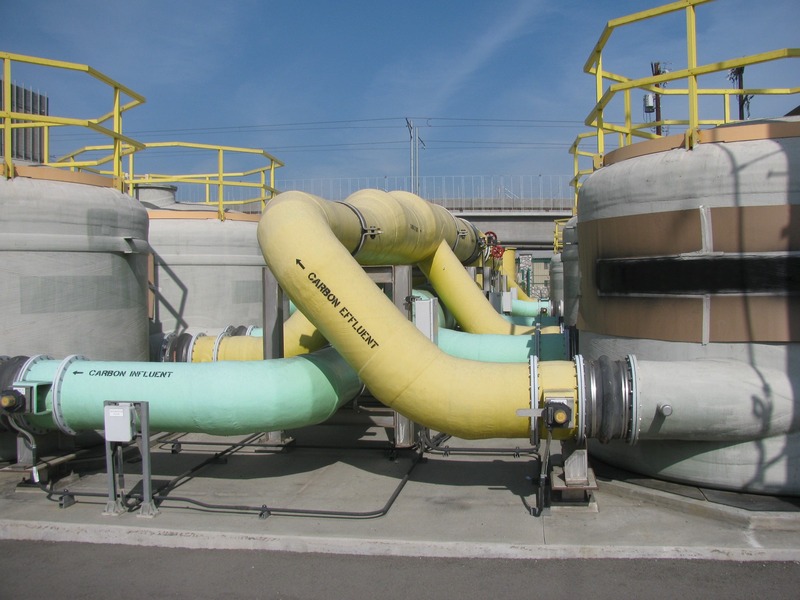 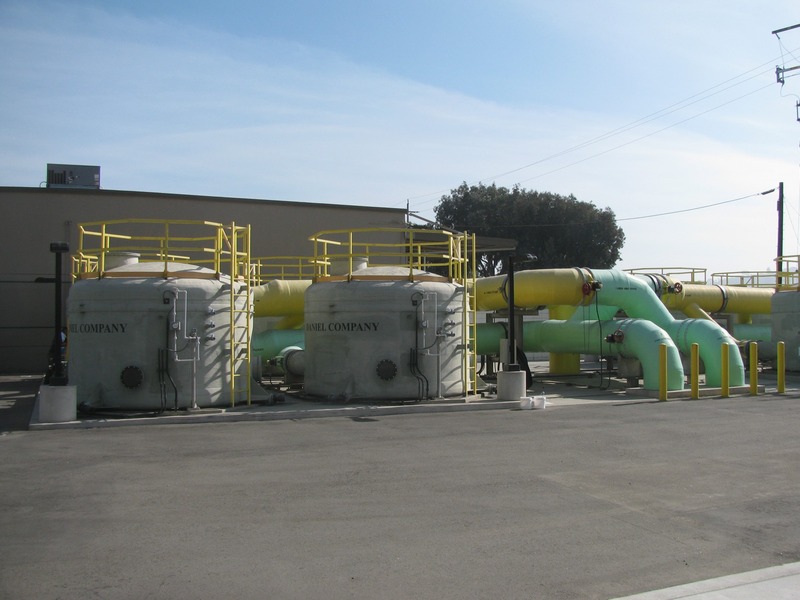 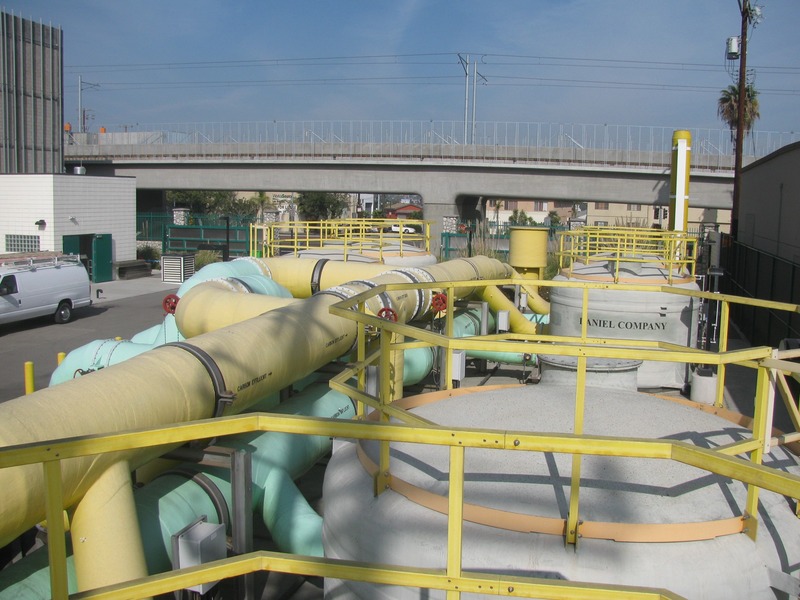 The City of Los Angeles, California has worked to improve odor control over the past several years by constructing Air Treatment Facilities (ATFs) located strategically along the existing wastewater collection system. 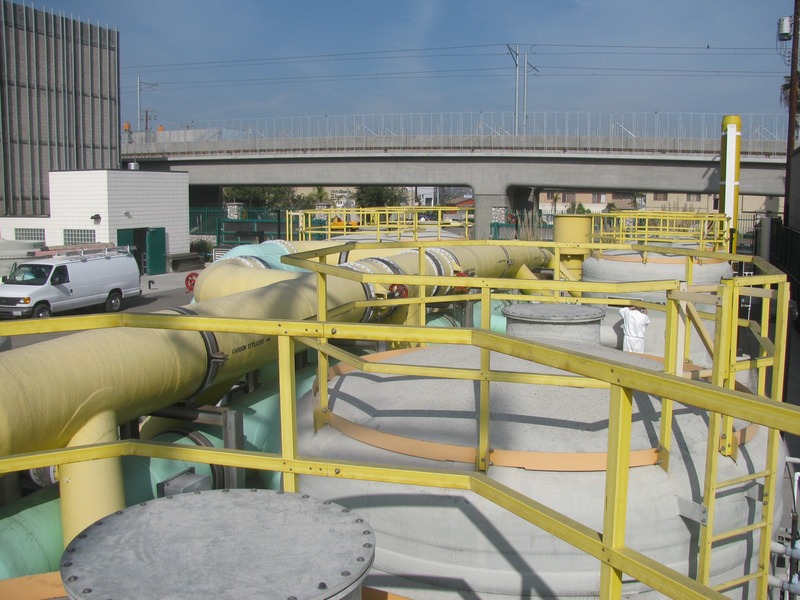 As a critical partner in these efforts, Daniel Company was selected as the supplier of an advanced odor control scrubber system located near the ECIS Siphon at the Jefferson Boulevard-La Cienega Boulevard intersection. 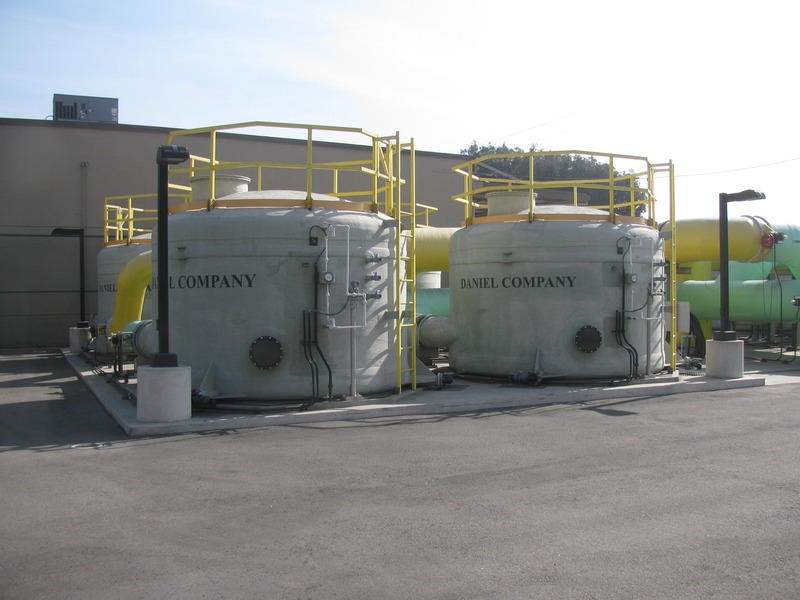 This system includes five 12-foot diameter Biotrickling Filters and eight 12-foot diameter Carbon Adsorber polishers, treating an airflow rate of 20,000 CFM. 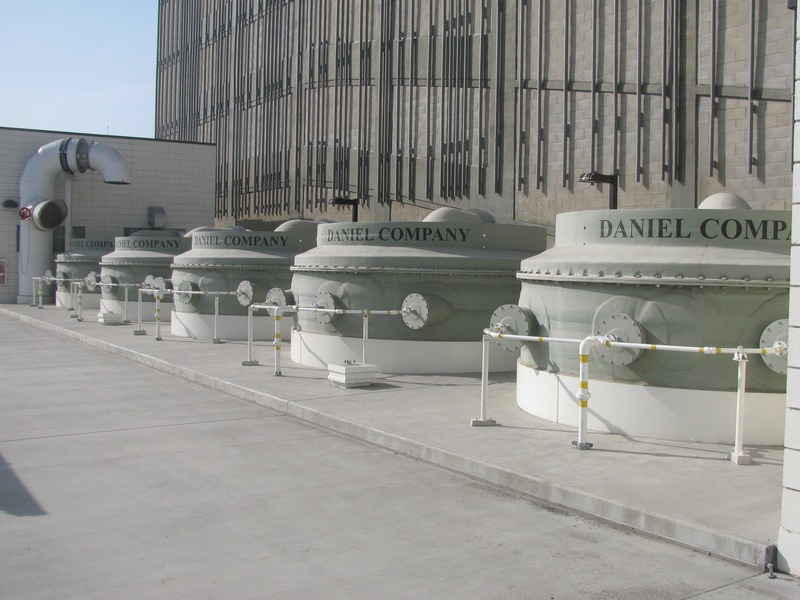 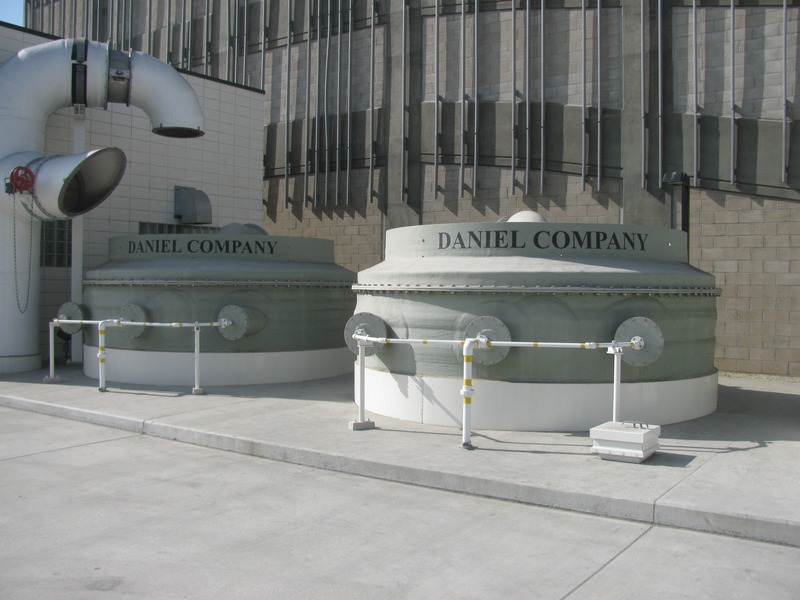 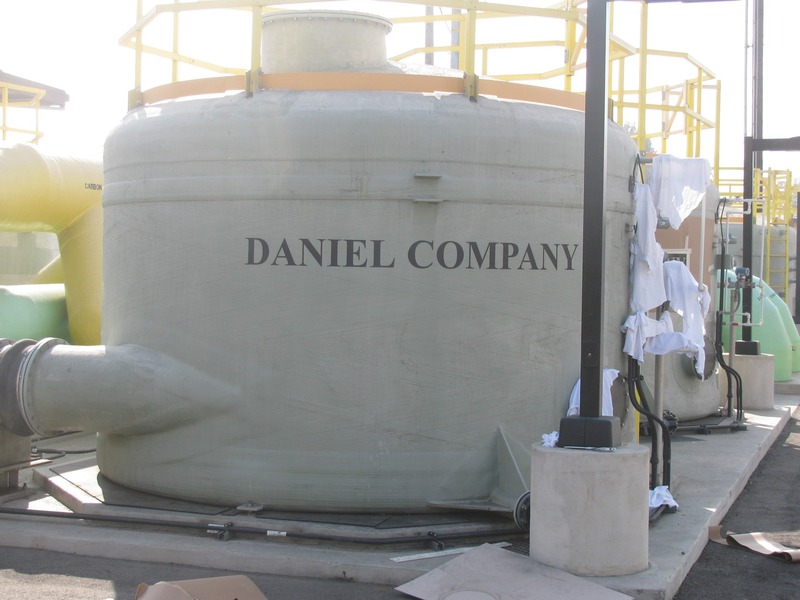 Designed to function 24 hours a day with minimal operator input, the odor control system at Jefferson/La Cienega has been a success, leading to the construction of similar facilities throughout the city with Daniel Company continuing as a key partner. 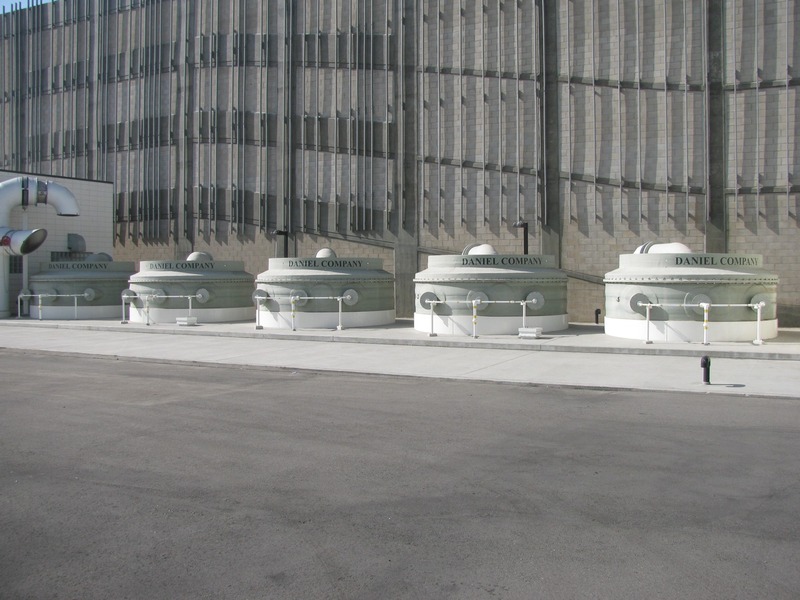 As seen from the above photo, the bottom of the structure is below grade. 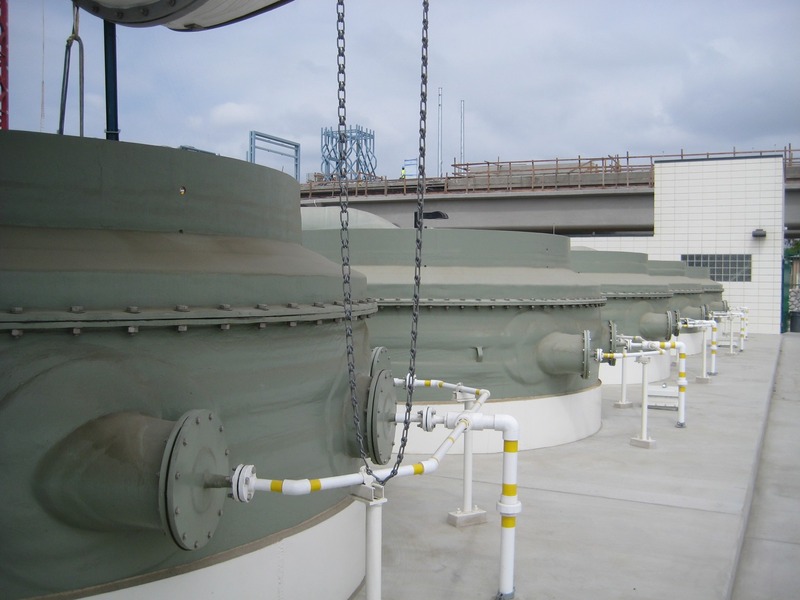 Despite each of the five vessels towering approximately 30 feet, only the very top parts of the vessels are seen.